How do I photograph people jumping and get a sharp image? We often get this question via email or on our Facebook page. Photographing sharp images of people jumping isn’t as hard as it seems if you follow these few simple rules. In this tutorial I’ll show you my best tips for capturing jumps without the use of a flash. Here is an example image shown below that I photographed a couple of months back of a friend jumping on a local beach. The only editing I’ve done is to crop the image for internet viewing. It really was this sharp straight out of the camera. Several were so sharp they almost looked superimposed! So how did I take this shot? Firstly I sat on the ground so the jump seems much higher that it actually was. Your model will thank you for it later on. Photograph people jumping – Camera settings for one person. When photographing one person jumping, I always set my DSLR camera to shutter priority. This allows me to concentrate on the speed of the shot and the camera adjusts other settings to suit. 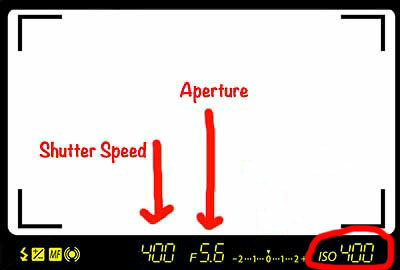 The shutter speed is the most important setting for capturing the person nice and sharp. I find a speed of 1/400th of a second works every time. 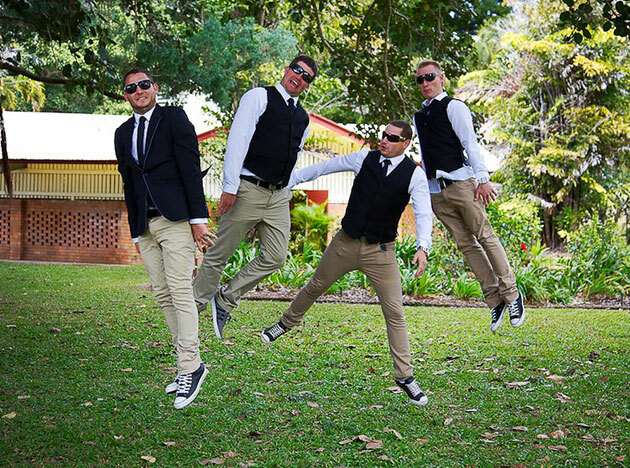 Photograph people jumping – Camera settings for groups. When photographing two or more people jumping, I use aperture priority, yet still keep my attention on the shutter speed. Why aperture priority? There is no use photographing a group of jumpers if only one person is sharply focused. Hence I set my aperture to f/5.6 following the rules on aperture settings for portraits. Set your camera to aperture priority and choose an aperture of f/5.6. Before the group starts jumping, press your shutter button half way down while looking through the viewfinder and you’ll notice camera settings listed along the edges of the screen light up. Take note especially of the shutter speed. If the shutter speed is 1/400th of a second or faster then you are ready to shoot. If not, up your ISO to a higher number. Personally I increase my ISO by 100 at a time and try again, adjusting from there until the shutter speed is showing as 1/400th of a second minimum. Keep the focal switch on the side of your lens on AF. Obviously you won’t have time to manually focus. I like to set a middle single focal point. This set up will ensure you can easily find the focal point and focus on the person as they start their jump. If you are not sure what I mean by focal points, then read this article on how to focus DSLR cameras. I set my camera to continuous shooting, also called burst mode on some DSLR cameras. Continuous shooting will allow you to take several shots or more per second. Your camera will keep shooting, as long as your finger holds down the shutter button. Note, cameras do limit how many you can take in any one burst until it needs to clear its cache. So if you hold your finger down on the shutter and it suddenly stops shooting, this is perfectly normal. That is your camera telling you it needs to catch up! If the person is jumping up and down in the same spot, what you can do is pre-focus before they leap. It’s important that they don’t change their distance from you when they jump. i.e don’t jump forward or back. For these types of shots, I sometimes press my shutter button half way down to pre-focus, then ask them to jump as I press the rest of the shutter and take several burst shots. Should you move the camera up and down with the jumper? Until you perfect the technique it’s best to keep your camera steady in one place. Therefore don’t zoom in too far that you cut the persons head off when they are at the top of their jump. Once you have perfected these camera settings and technique, you can then try panning up and down with the person to show motion in the background.